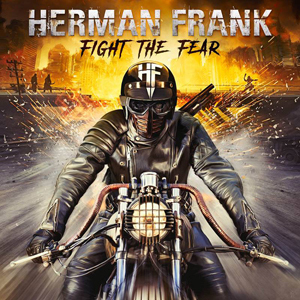 AFM Records is thrilled to announce the new Herman Frank album Fight The Fear. Fight The Fear will be released by AFM Records on February 8th, 2019, and is the fourth studio album in the band history. Fight The Fear thrills with Herman's guitar attacks, killer riffs and outstanding, powerful vocals with good hook lines and catchy choruses. A Teutonic Metal fireworks as it could not be better! The album will be available as Digipak, clear orange, gatefold 2 Vinyl (ltd. to 250units) and black 2-gatefold vinyl which is available HERE.